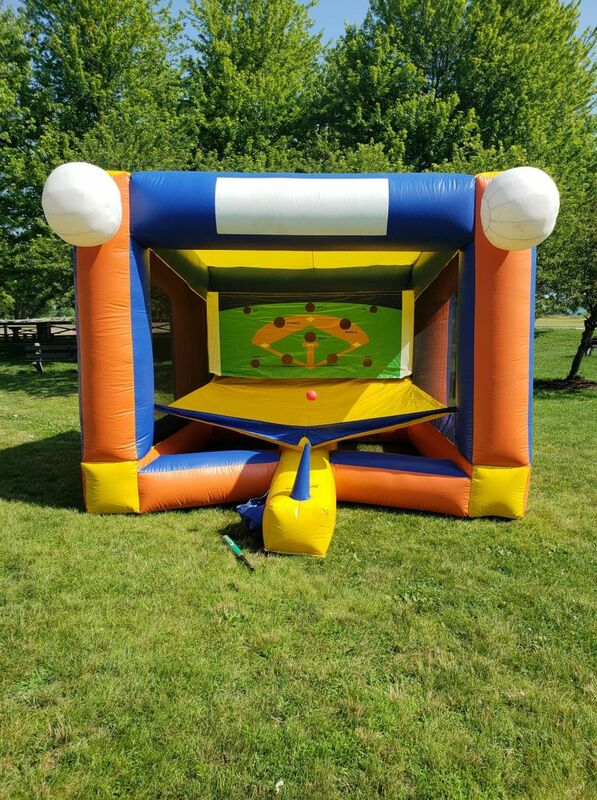 1Inflatable T-Ball. 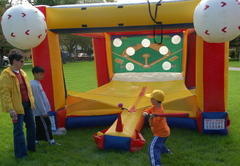 Try to hit the ball as it hovers over home plate. Hit the ball into one of the holes in the back of the unit. Holes are marked, single, out, double, triple & of course...home run. This unit requires 16ft x 16ft x 12ft in actual space, power within 50ft of a dedicated electrical outlet free of glass, rocks, sharp objects, dog bombs, tree limbs/branches, gutters, etc.